Josh and his wife, Tina, are enthusiastic about giving back to their community using their time and talents to say 'thank you' for everything they have been given. Josh serves as a board member of the Leukemia & Lymphoma Society. 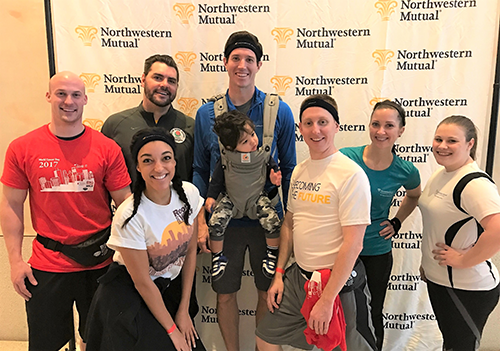 Northwestern Mutual has been a proud supporter of the LLS for the past twelve years, and Josh and the Edina team have raised money for LLS's life-saving, blood cancer research through participating in the LLS Big Climb MPLS. 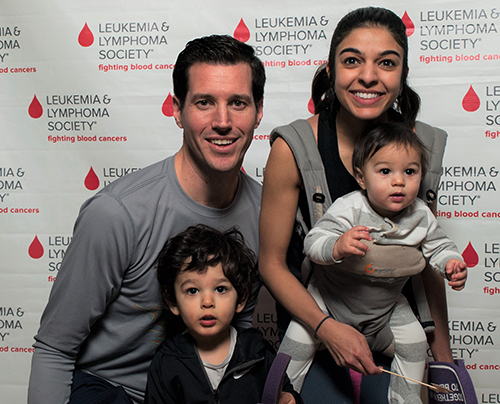 In 2016, Josh and his team climbed 53 floors of the Capella Tower and raised over $1,500 to help support those living with blood diseases. In 2017, the combined efforts of the Minneapolis and Edina teams raised $6,000 for this cause. From 2009-2012, Josh was part of the Columns Resource Group Foundation Board and served as President for the maximum three-year term. During his presidency, the CRG Foundation went from raising $18,000/year to $75,000/year through donations from Financial Representatives. These donations benefitted organizations such as Hope Lodge, the Special Olympics, and the Minneapolis Crisis Nursery. Josh also supports many other organizations, including but not limited to: The United Cerebral Palsy of Minnesota, Make-A-Wish Foundation, Minneapolis Crisis Nursery, Starlight Children’s’ Foundation, Mens' Health Movember. Josh and the Edina team participate in the LLS Big Cilmb MPLS 2017. Josh, Tina, and their sons at the LLS Big Climb MPLS 2018.